Let’s be clear, there is nothing wrong with just showing up somewhere and finding adventure wherever the wind blows you. That spirit of pioneering is as old as civilization and truth be told, there isn’t enough of it happening in this day and age. However, those unplanned, seat-of-your pants adventures don’t always guarantee leisurely good times and when you only have a week of holidays, it does make sense to be prepared. Sometimes the right gear and a little pre-game know-how can make the world of a difference to your overall fun levels. 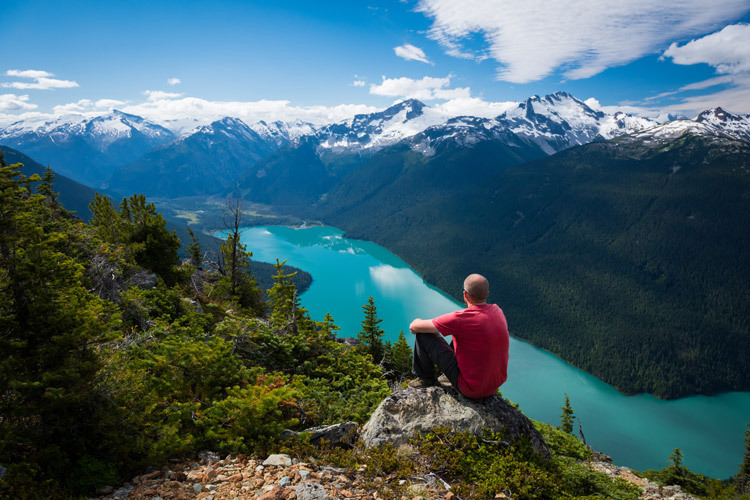 I make checklists the same way I pack a suitcase, fast, instinctual and quite probably leaving something out, but all of these items will come in handy for any good summer in Whistler. Keep in mind, those last two items (especially the skateboard) can increase your chances of vacation-related toe-stubbing (or worse) but when used properly these self-propelled means of transportation are extremely fun, healthy and also do away with the stress of driving, parking etc. This is where your bike and/or skateboard can really come in handy. 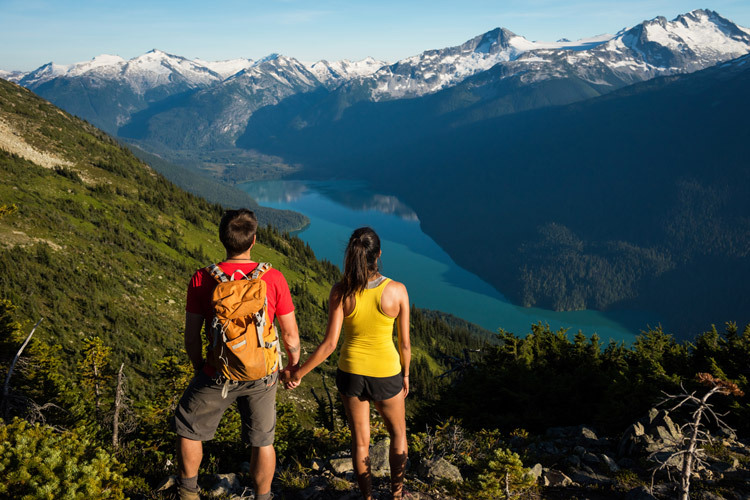 Connecting all of the valley’s neighbourhoods, Whistler’s Valley Trail features 40 KM of paved trails designed to both get you where you need to be and inspire you with sweet mountain views and parks along the way. Stay on point though, there are some steep(ish) hills and sharp corners that will send you into the cabbage if you’re not paying attention or trying to take a selfie while still rolling. But otherwise, what’s more relaxing than gliding along a paved trail through the woods while the sun flickers through the breaks in the trees? Oh, and the best part? 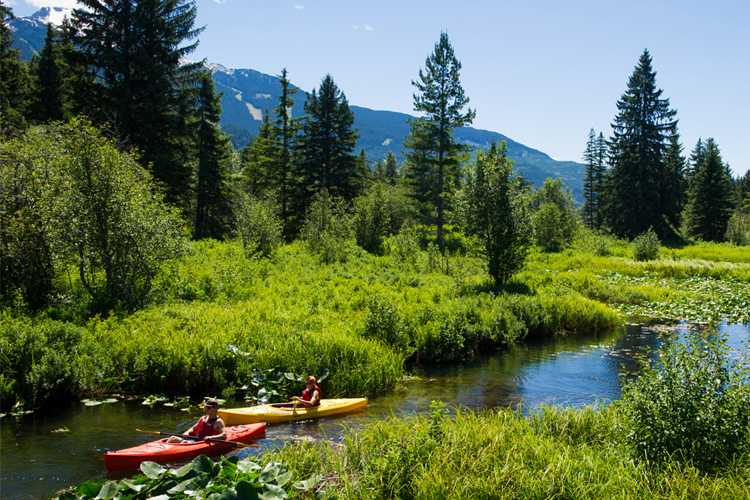 The Valley Trail winds around and into Whistler’s entire network of swimmable alpine lakes. The new Whistler:How To videos feature real guests and random locals revealing their own personal Whistler tips and tricks. This is where “never forget the towel” comes into play because Whistler has 5 incredible alpine lakes with perfect swimming beaches. And while May/June may seem a little early to go CANNONBALLing into a natural body of water high in the mountains, both Alta and Lost Lake are spring-fed (as opposed to glacier-fed, like Green Lake) so they reach tolerable swim temperatures in the late spring. And if the water is too cold for your tastes just unfurl that towel and take a well-earned nap on the grass/dock/beach/wherever. Sleeping outdoors is one of the best leisurely activities of all. It’s been proven that the old “wait thirty minutes after eating before entering a lake” rule is a bit on the conservative side of safe, but we like it because it is very leisurely. 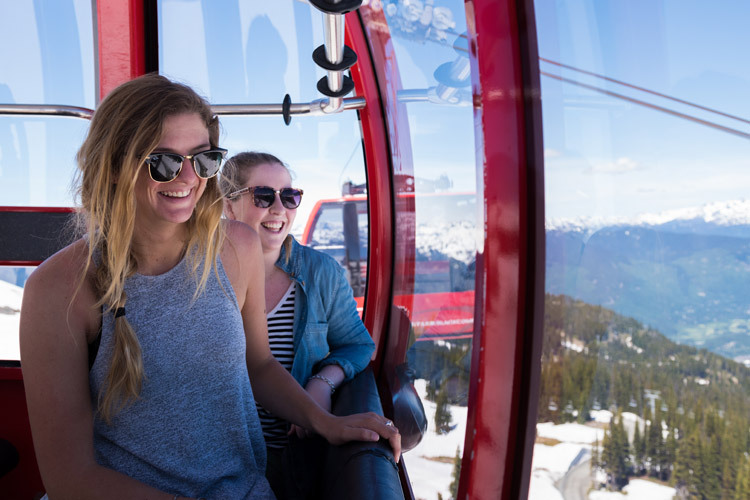 Whistler has some of the most incredible mountain views ever and the best things in life are shared so find a fellow human and get up top for a real Whistler alpine experience. 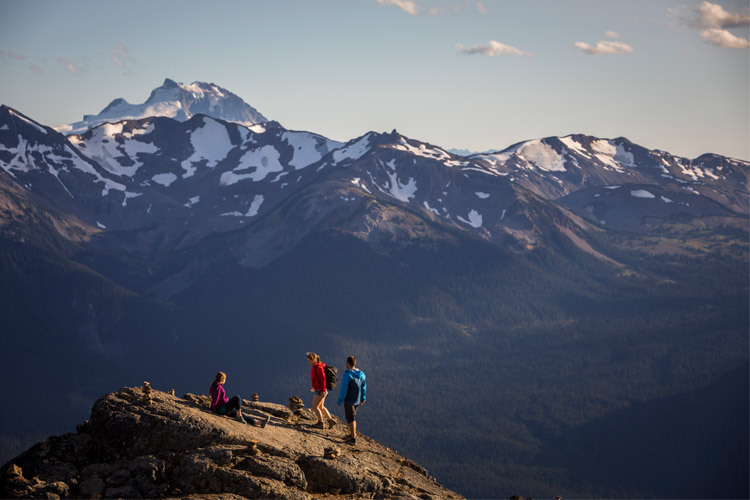 Whether you go with your mom, your kids, your significant other or just make new friends up there the summer views and vibes atop Whistler and Blackcomb mountains are amazing. 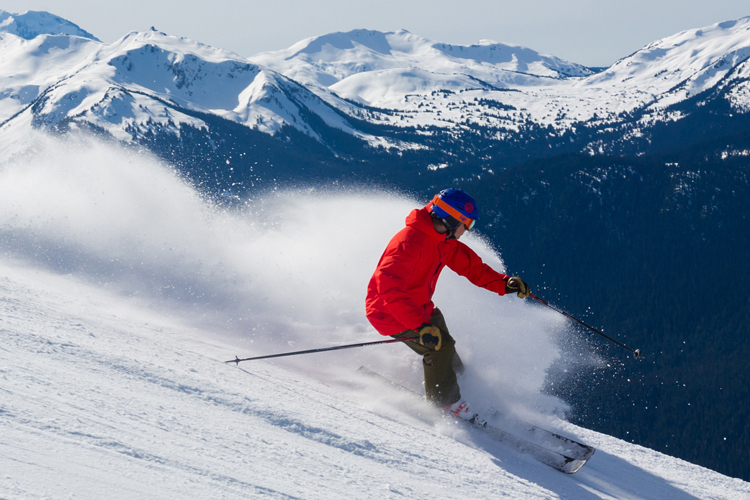 After the Whistler Village Gondola whisks you up to that magical zone above treeline, Whistler and Blackcomb have over 30 KM of designated hiking trails ranging from short and easy to long and awesome. And in between there is a little feat of engineering wizardry called the PEAK 2 PEAK Gondola. It’s 360 degrees of good times and holds a few world records under its belt so you should probably just check that out for yourself. Kids love looking for whistling Marmots, which mostly spend their time lounging on sunny rocks in the alpine. Furry little geniuses is what they are. 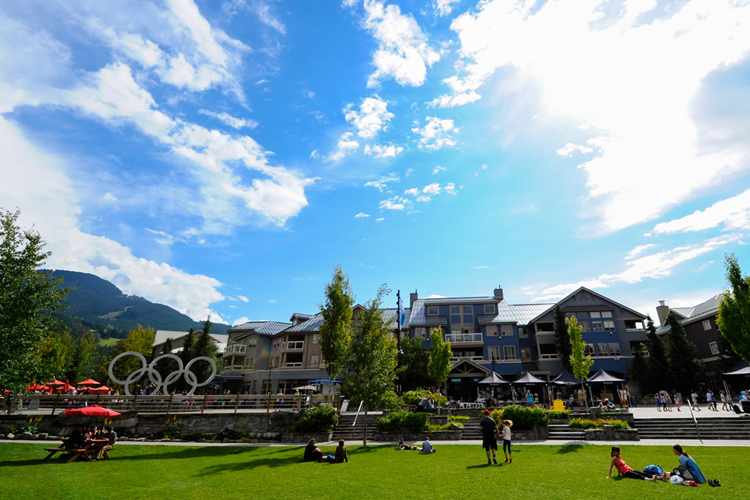 One of the most laid-back adventures in town is just wandering around Whistler Village seeing the sights, finding the secret spots and deciding what patio you want to spend the rest of the day on (try them all!). Whistler Village was purposely designed as a meandering stroll with very few right angles. Instead things like afternoon sun and mountain sightlines were given priority. Considered by many locals to be Whistler’s best free activity, disc golf is a great way to spend a couple hours ambling through the woods. The Spruce Grove course boasts 27 holes that make their way through the undulating terrain in the middle of our valley. If driving, park at the Spruce Grove ball diamonds, head north and follow the signs. Otherwise bike there from Lost Lake along a network of dirt trails and roads. (On especially hot days, the reverse order highly recommended— golf first, swim after). Twenty minutes south of the town the Whistler RV Park and Campground also have a course they are happy to share. And if you don’t have discs of your own, you can buy them in the village at Source for Sports or the Nester’s Cold Beer and Wine store. A leisurely Insider video from 2014 about the RV Park disc golf course. As far as leisurely dog walking goes, Whistler is known to be one of the more Fido-friendly places in all of BC. Dogs are often welcomed into retail stores and many of the businesses throughout town have a stash of treats behind the counter. Rainbow Park, Alpha Lake and Lost Lake all have dog-specific beaches so when your Labrador comes out of the lake and shakes himself off all over a crew of sunbathers, they at least knew what to expect. Please ensure your dog is leashed on the Valley Trail so he/she doesn’t end up taking out that family of just-learning rollerbladers. Many Whistler hotels are also happy to see your pooches (or your cats), because pets are part of the family too. Extreme dog-walking, when undertaken without the company of a K-9 is often referred to simply as “hiking”, but pick the right trail and it will just be you and your furry little friend spending some quality time together in nature. There are plenty of walks that are only about an hour long, notably Rainbow Falls off West Side Road. Stay informed though, a lot of Whistler’s other hikes are full day affairs and dogs are not be allowed on hikes that enter Garibaldi Provincial Park. The best, most up to date info can always be obtained at the Whistler Visitor Centre in the Village. Other than that, my top advice for the summer is: choose your own adventures but remember to make time for leisure, and don’t forget that towel. 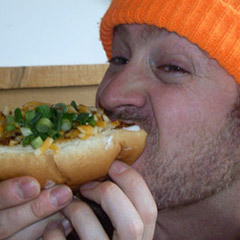 As always Whistler.com is the spot to go for summer accommodation, activities, events and fun.